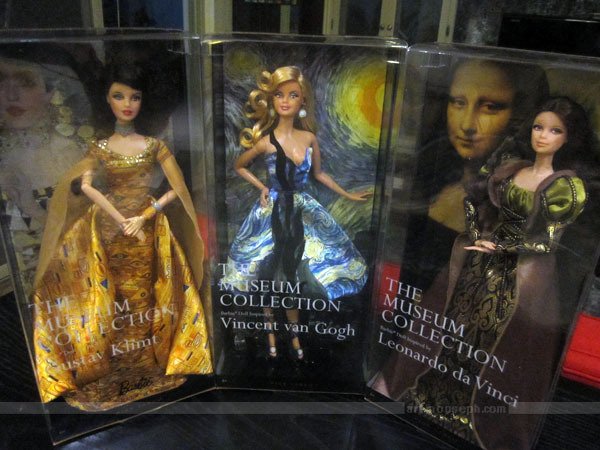 As a birthday gift for myself, I ordered the three dolls from the Barbie Collector Museum Collection, and these arrived last night! Found in Korea: Ingres on milk! Convenience store coffee with artwork by French Neoclassical painter Jean Auguste Dominique Ingres! Now, why they used a French painter’s artworks for a brand labeled “Denmark” is beyond me. Back in high school, we had an art class assignment to make a tessellation of our own. I never forgot that class for the sole unfortunate reason that I couldn’t make one. Haaay. Years later, I read about Dutch graphic artist M.C. Escher’s life and how he’s famously credited as the “Father of Modern Tessellations”. Salvador Dali is the first artist I read a biography of. Apart from his amazing, mind-bending Surrealist paintings and paranoiac depictions of desire and the subconscious, he’s just a really crazy, zany character.